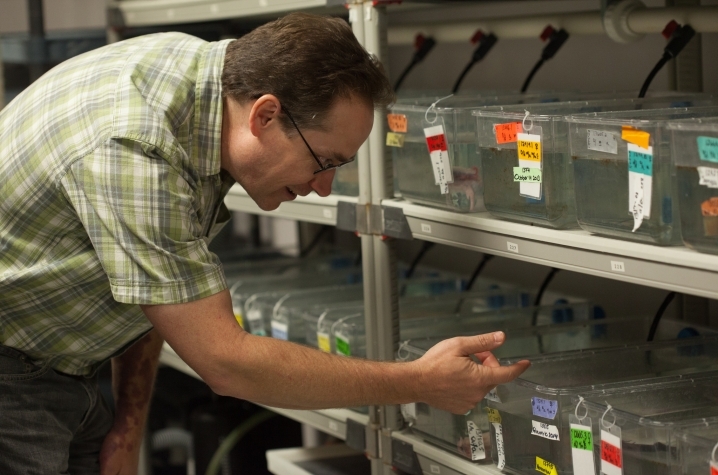 LEXINGTON, Ky. (Aug. 20, 2014) — University of Kentucky biologist Randal Voss is sequencing the genome of salamanders. Though we share many of the same genes, the salamander genome is massive compared to our own, about 10 times as large. 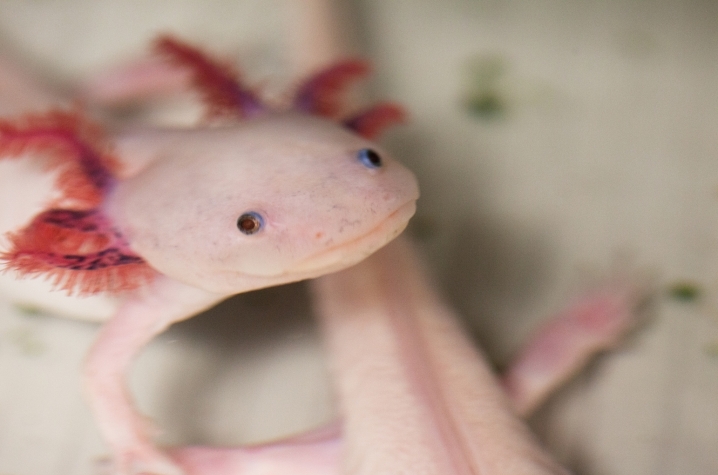 Voss's research focuses on axolotls, salamanders with amazing regenerative ability. “It’s hard to find a body part they can’t regenerate: the limbs, the tail, the spinal cord, the eye, and in some species, the lens, half of their brain has been shown to regenerate," Voss said. "I’m very fortunate to have a colleague in the department, Jeramiah Smith, who’s an expert at the ability to put small pieces of DNA together to kind of recreate the puzzle, which is the genome. We have funding from the National Institute of Health and the Department of Defense to sequence the axolotl genome and provide this blueprint for the first time." With a partner at the University of Dayton, Voss is looking at the loss of regenerative ability in the eye as a salamander ages. Voss is also starting a new collaboration with an orthopedic surgeon at UK to study knee joint regeneration.